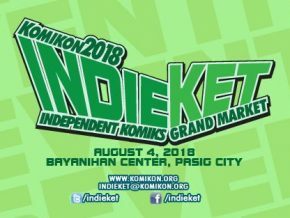 Discover new comics and artworks, share insights, or brainstorm a possibly new project with fellow independent comics animators at Komikon Indieket 2018 this coming August 4, 2018! 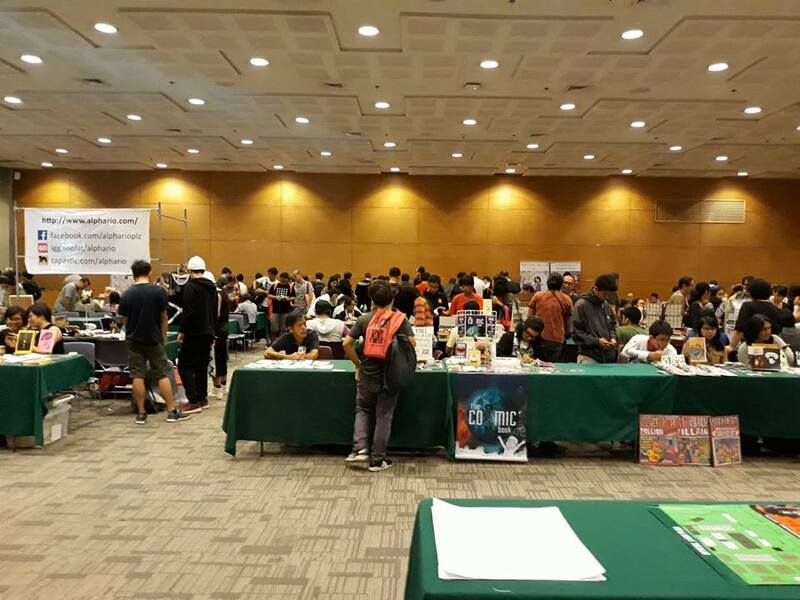 Philippine Komiks Convention brings together Filipino independent comic creators to showcase their works in a space where ideas and collaboration and encouraged to further develop talents. 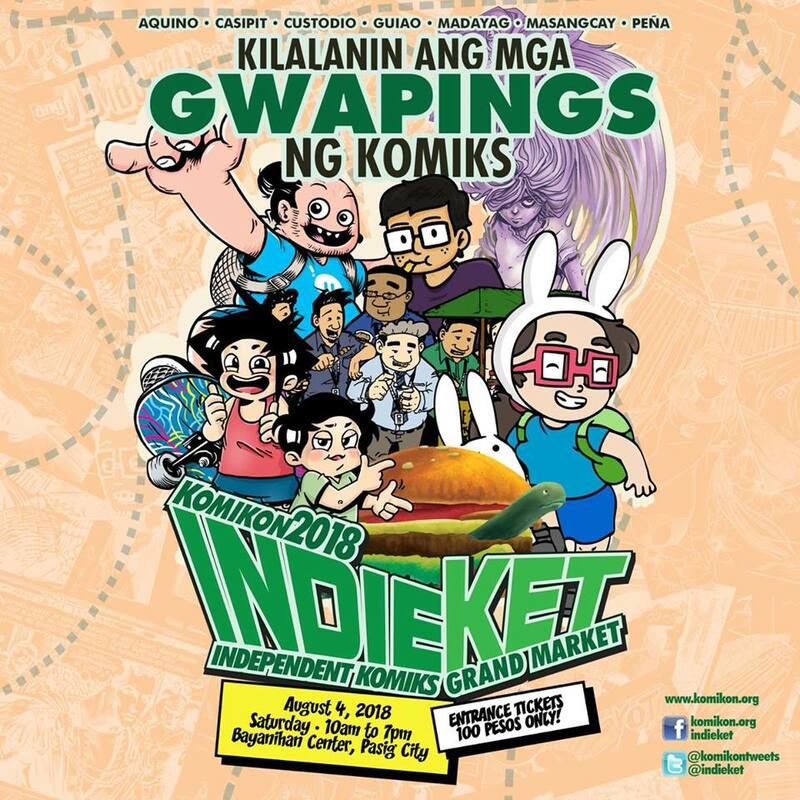 Komikon is a yearly event with an aim to bring awareness to people about the current status of local comics in the country. With various drawing types and comic genres, this convention also aims to help independent artists from local and international to professionals and beginners. Independent artists who haven’t commercially published their works yet will finally get the chance to exhibit and sell their works to comics enthusiasts. On the other hand, professional artists who may or may not have published their works have tables exclusively for them. You can choose from their merchandises like small pins, bookmarks and more as they are available on every artists table. Plus, get to purchase these artists’ very own comics too! With various drawing types and comic genres, this convention also aims to help independent artists from local and international to professionals and beginners. Don’t miss the chance to support the works of our future comic illustrators at Komikon 2018: Independent Komiks Grand Market on August 4, 2018 at Bayanihan Center, Pasig City! Entrance fee is Php 100 and tickets are now available at Comic Odyssey Robinsons Galleria or you can also buy tickets on the day itself. For more updates regarding the upcoming Komikon 2018, you can check out their event page at Komikon Indieket 2018. For more information you can visit their website at http://www.komikon.org/ and Facebook page at https://www.facebook.com/Indieket/. PreviousHydro Manila 2018: Let Loose and Get Splashed!